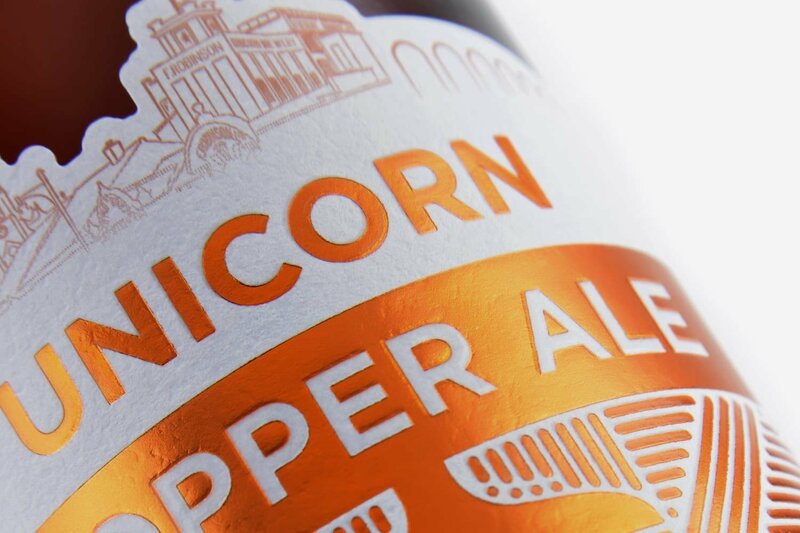 A craft paper material incorporating a subtle texture was used for the substrate, with the labels die-cut to reflect the design of the Robinsons Brewery skyline. 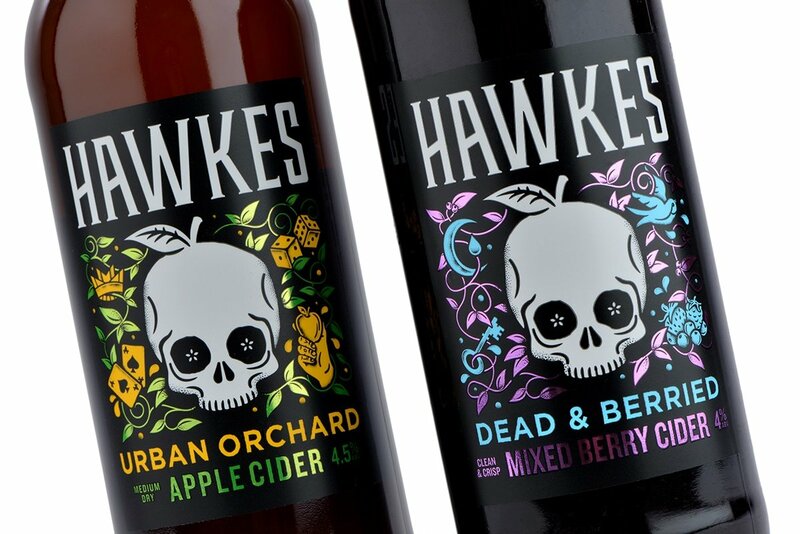 A subtle mix of complementary pantones were selected and the labels were flexo printed with a rotary inline silkscreen to add a tactile dimension. The Unicorn Copper Ale label was flexo printed with a hot foil embossed finish. 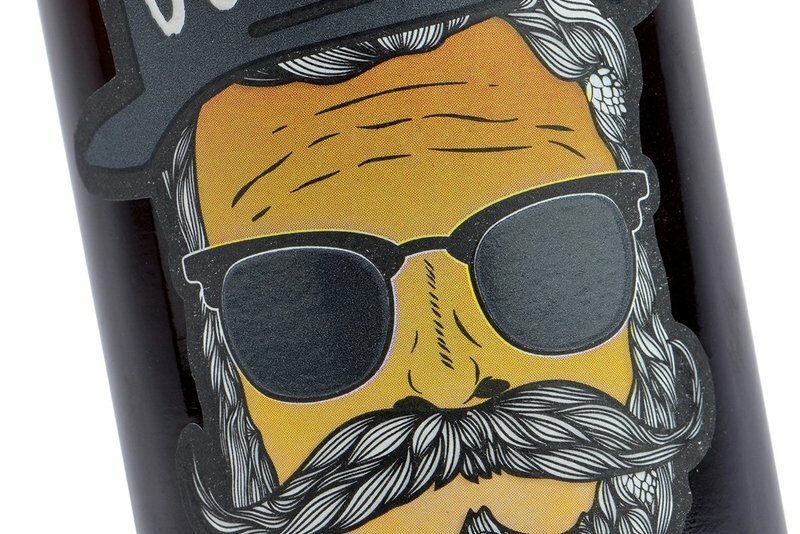 The label was produced in a single pass to give the ultimate premium beer label appearance.